Hello Frndzzz.... www.dealsnloot.com Back With New Cash Convert Trick. 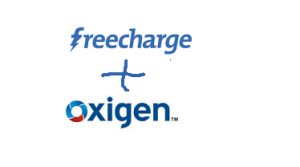 Trick to convert Oxigen wallet balance to Freecharge Credits.Trick to convert Oxigen wallet balance to Freecharge Credits. Hope you also enjoying oxigen wallet Diwali offer of send Rs. 21 and get Rs. 51 cashback. But you cant convert this oxigen wallet promotional offer balance to bank. So by this trick you can transfer Oxigen wallet Money to freecharge credit. 2) Now login your FreeCharge account. 5) Select >> Cash Card >> Oxigen wallet and Pay the amount. 6) Recharge will get failed and within 1-2 minutes you will get refund as Freecharge Credit in your Freecharge Account. 7) Hurray! Amount will get credited to your freecharge account. You can use this to shop at Snapdeal and also you can transfer this freecharge credits to bank.